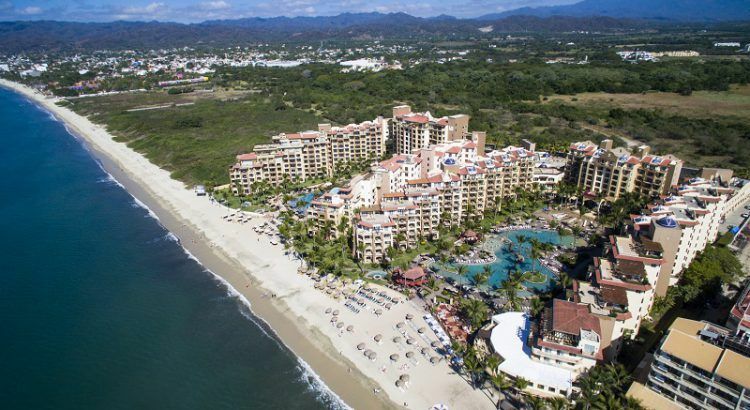 Are you lucky enough to be considering purchasing real estate in Banderas Bay? Beautiful beaches with an expansive Sierra Madre mountain backdrop make up a stunning setting for some incredible real estate options. One of the available is the exquisite Villa La Estancia located in Nuevo Vallarta in Riviera Nayarit. With close proximity to the charming cobblestone streets of Puerto Vallarta and just a short drive from the glamorous Punta Mita, Banderas Bay real estate standout Villa La Estancia is right in the middle of a bevy of tourist destination delights. You have a chance to take advantage of the great year-round weather and still have access to modern conveniences. A savvy choice for investment, Villa La Estancia is the perfect investment opportunity for those looking to enjoy the beauty of the Banderas Bay and enjoy its many attractions. Banderas Bay and Villa La Estancia are becoming more and more popular so the demand for these types of properties are increasing – don’t miss out on your chance to own your piece of paradise at Villa La Estancia! Villa La Estancia is located in Nuevo Vallarta, Riviera Nayarit which is home to an abundance of natural beauty and activities for every type of vacationer. We have 7 world class golf courses in the area, including the home of the 2002 EMC World Cup as well as seasonal whale watching, city tours, horseback riding on the beach, snorkeling and scuba diving and so much more! Try hiking to a waterfall or enjoy a sunset cruise in the majestic Banderas Bay taking in the night lights of Puerto Vallarta’s old town. There are many beautiful and interesting locations to consider in the Banderas Bay. Villa La Estancia is a luxury hacienda style hideaway for those who want first class service with a bit of Mexican charm mixed in. AAA awarded Villa La Estancia with its Four Diamonds awards for high standards so you will not be disappointed. The beauty of Villa La Estancia is found in its essence – nearly every room of the resort has amazing views of the majestic Banderas Bay blue green waters. Enjoy your ensuite amenities, or head to the European style Tatewari Spa to really relax and take a moment for yourself. If you’re in the mood for a dining experience, check out the varied dining options available at Villa La Estancia. La Casona is a Mexican eclectic steakhouse known for it prime cuts and beautiful views. Villa La Estancia’s poolside Parrilla Restaurant is a more casual option that specializes in burgers, sandwiches, wraps, and Mexican seafood ceviches. Are you interested in buying real estate in Banderas Bay? Consider Villa La Estancia in Riviera Nayarit. Can you see yourself as an expat in Mexico?